The Surf To Summit Adjustable J-Bar Kayak Rack is the perfect answer to transporting your kayak, canoe, surfboard or SUP board. It's easy to install and provides a safe way to haul your toys on top of your vehicle. This J-Bar Rack is compatible with most square, rectangle or round crossbars. Compatible with 3-1/2" W square, rectangle or circular cross bars with over 1-1/2" diameter. Crossbars are not included. 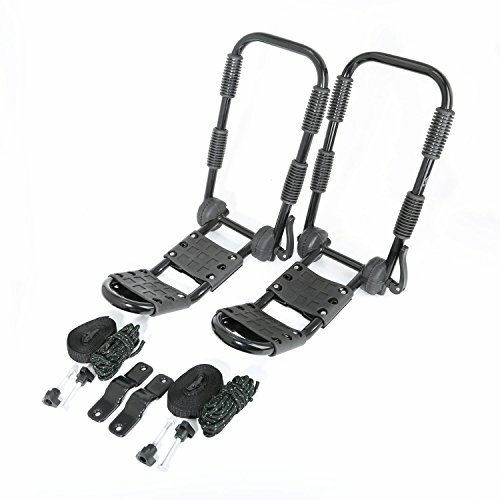 Includes all mounting hardware, 2 tie downs, and rope.